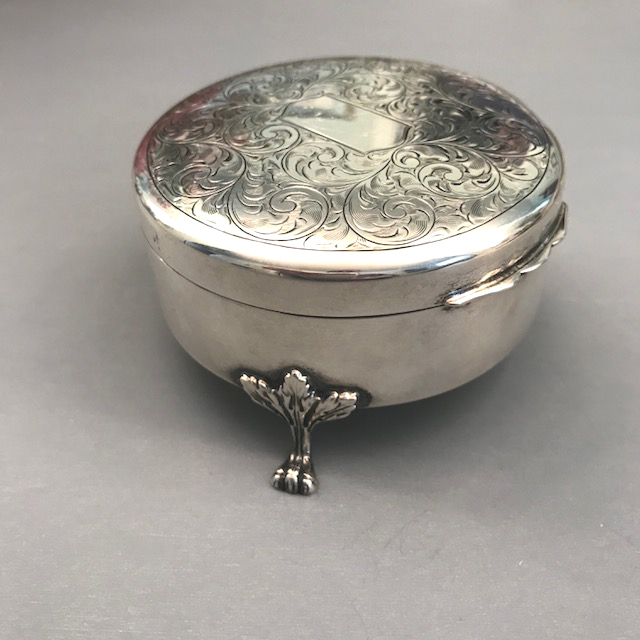 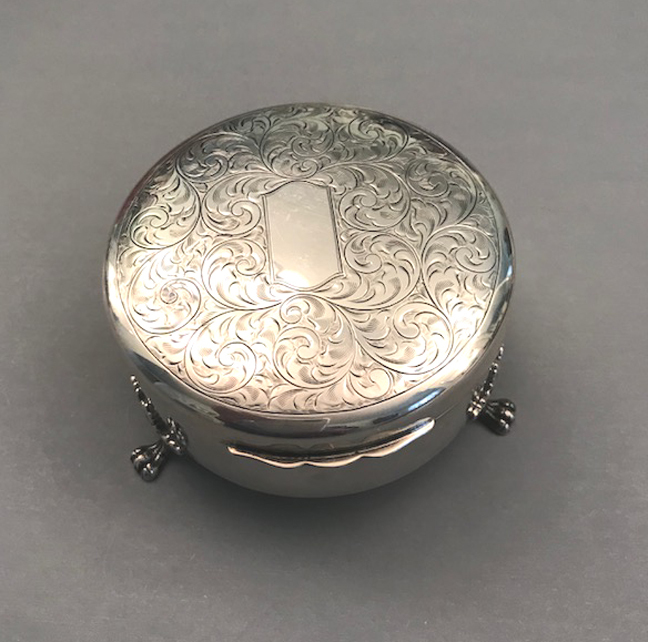 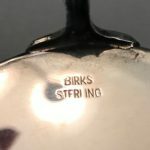 BIRKS sterling footed ring and jewelry box with an open cartouche so you could add your own initials if you wished to. 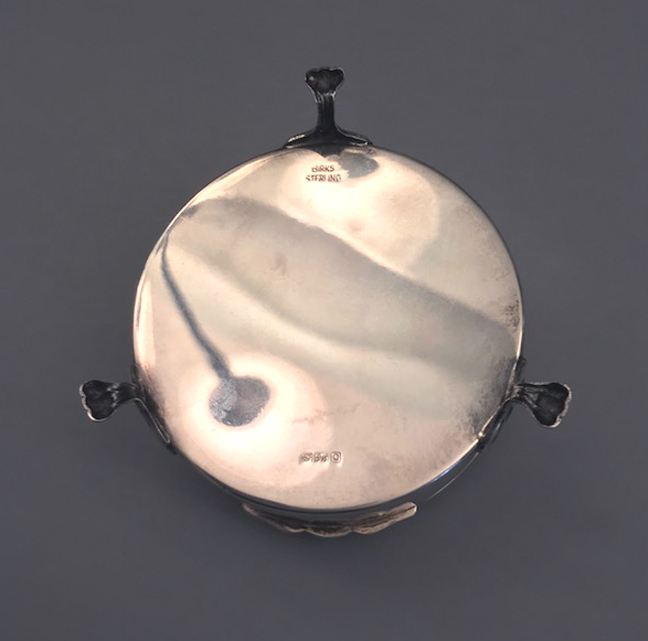 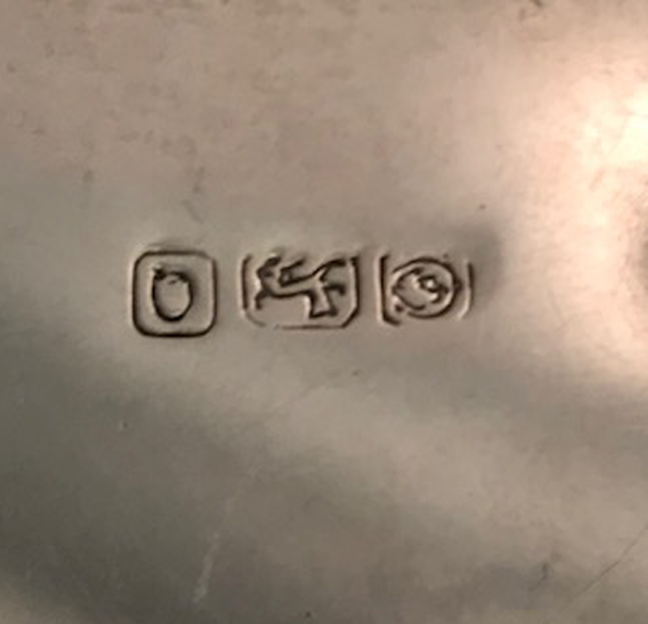 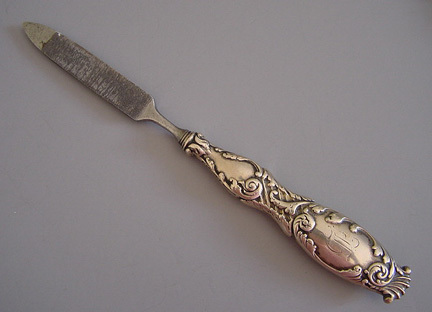 It is marked on the bottom "Birks Sterling" and also some marks that seem to be faux hallmarks, 3-1/2" wide and 2" tall including the feet. 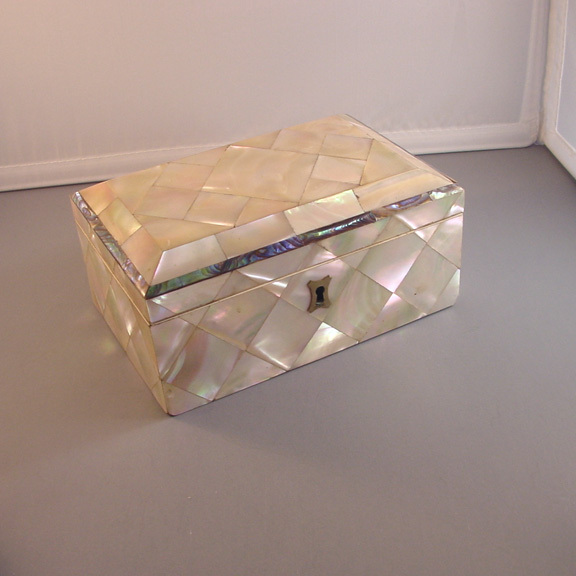 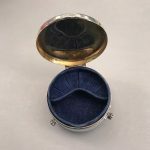 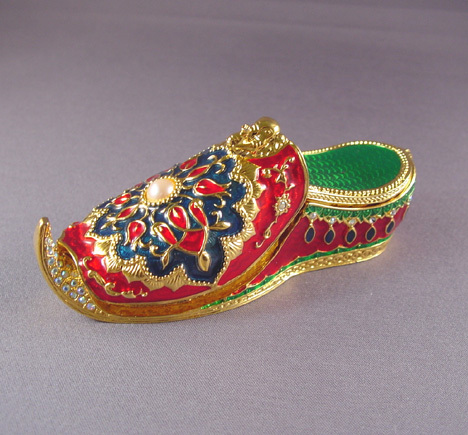 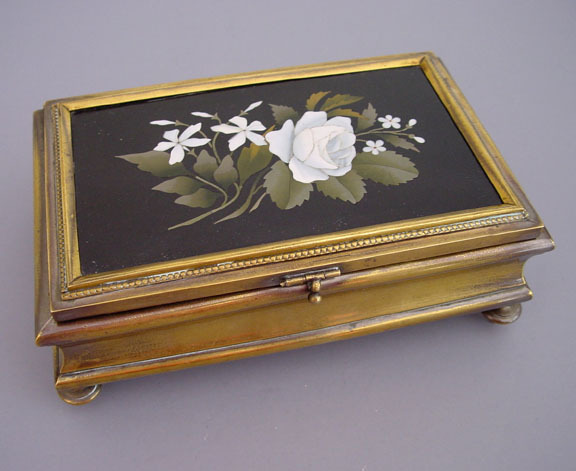 Inside is lined in blue velvet and has space for rings and other small pieces of jewelry.